Having one or multiple roommates is naturally a part of the college experience, as it not only helps to expand your social life but it can also help you save money in the long run. Whether it is during your freshman year in a dorm or during your junior year in an off-campus apartment, living with your new housemates may be either a dream or a nightmare. Ecampus News once reported that “Conflict with roommates has consistently ranked among the top five reasons students drop out of college.” While sharing your life with one or a couple roommates is not easy, there are ways that you can actively make your experience smoother and more enjoyable. Being a college student, the reality is that it’s hard to juggle academics, sports, extracurriculars, work, family, and a social life. If you somehow manage to balance all of those and maintain your sanity, then I need to know your tricks! Most of us, however, cannot do this and are not superheroes. We are, instead, human beings who experience emotions and stress in varying degrees, which better or worse, can be taken out on our roommates. There are plenty of ways to make living with a roommate a breeze, like communicating freely, establishing boundaries, etc. One obvious and perhaps common way to do this is through roommate time! Listen, I know it sounds pretty silly, but you’d be surprised at the number of roommate relationships that deteriorate over a small problem like this. We all have our busy schedules; we all have our moments that we aren’t exactly proud of. Our roommates, whether we like it or not, are the ones who we share a living space with, the ones who we encounter on a daily basis, the ones who we agreed to live with regardless of circumstances that go on in our own life. It is because of this that roommate time is not only important but also necessary for a healthy and balanced living experience. Are you currently living with a roommate/roommates? Do you feel that you don’t spend enough time with them? Want to set aside some time to check in and hang out? 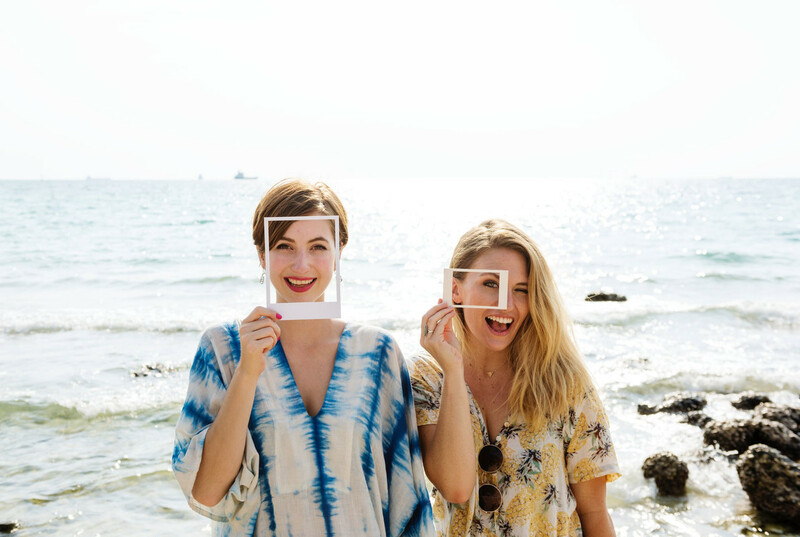 Check out these three roommate date ideas that will bring you and your roommate together and show you the true importance of spending time together! Between endless papers, labs, extracurricular activities, and jobs it’s hard to maintain a strong social life in college without driving yourself crazy. It’s especially hard to find time to actually hang out with your roommates because you’re so used to seeing them all the time. Because of this, tension and distance between you and your roommate can grow and make it harder for the both of you to live with one another. After all, no one wants to have to walk on eggshells because the other had a tough exam, worked a double shift, or broke up with their boyfriend. It’s just not cool and makes everyone’s lives miserable. Though you don’t have to be best friends with your roommate, having a day set aside to casually hang out can be a great opportunity to catch up, talk out past problems, and get to know each other more. Having a roomie date every couple weeks or so is a great way to keep up the good vibes in your living situation and your life in general! 1. Netflix and Chill: This is such a simple way to bond and relax that I don’t think it needs a whole lot of hype, but I will give it the hype it deserves. After a long week, some of us just don’t have the patience or the energy to get dressed up and go out somewhere. Having a date night in, ordering some delicious takeout and picking either an awesome favorite movie or a binge-worthy TV show to watch will make you want to have more roomie time more often! 2. Game Night: A lot of people think that games are reserved for kids and children, but adults can have loads of fun with games (ask me, I have plenty of experience)! Collectively make a yummy dinner with your roomie, perhaps pop open a bottle of wine, and fight ferociously to beat the other in a grueling game of Monopoly. After a few rounds, you’d be surprised with how close you feel with someone! 3. Take a Trip: While a lot of us college students don’t usually like to make trips outside during the week, you and your roomie can reserve a day to travel around and find fun places to go and explore! Perhaps visit a museum close to campus (student discounts, anyone? ), walk around in the park, pop in and out of shops, etc.! Doing this can give you a chance to get out of the confines of your dorm/apartment and spend quality time with your roomie! Living with roommates can be easy and difficult at times, but if you make an effort to know, understand and care for your roommate by making the time to hang out, I guarantee you that you’ll look back the years with your roommates as some of the best of your life. As always, Good luck!